The World Gold Council has appointed Somasundaram PR as Managing Director, India. Somasundarum PR (Som) will be based in Mumbai, where he will be responsible for leading the World Gold Council’s activities across the Indian market. Som has over 27 years’ experience of diverse industries and sectors. 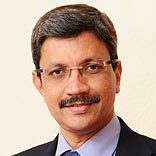 Som joins the World Gold Council from Lakshmi Vilas Bank, where he was Chief Executive Officer. Before that, he spent eight years at Standard Chartered Bank in India where he held senior positions including Managing Director of Standard Chartered – STCI Capital Markets, the securities arm of Standard Chartered Bank. Som has also gained valuable experience of other sectors having spent over 13 years with Hindustan Unilever (HUL) in a variety of national and international roles, as well as working at Tata Consultancy Services. Som is a qualified Chartered Accountant.